He also confesses about issues with Amitabh Bachchan and working in an all-star movie. Another biography is on the shelf. Veteran actor Rishi Kapoor unfolds his life in a book called ‘Khullam Khulla’, writing his heart out for all the readers out there. 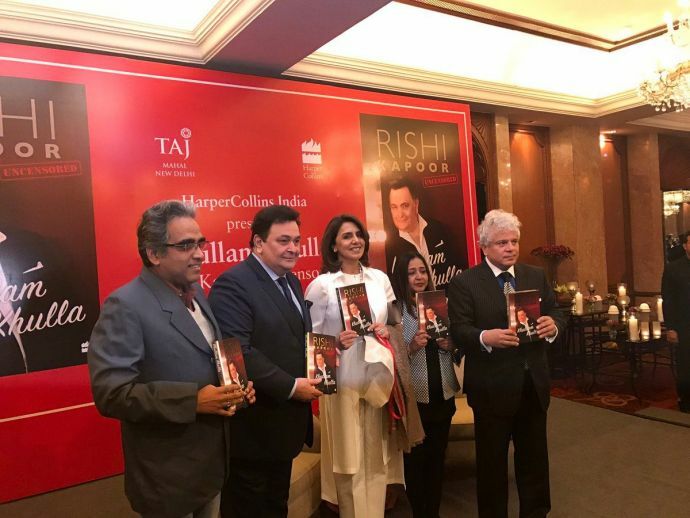 Rishi Kapoor has always been known for his outspoken nature, so it doesn't come as a surprise when he says he has written about everything in his life in the book. He spoke about almost everything which people were expecting him to. Speaking about his angriness on social media, he said he vented out his frustration through it. A canto of the book was released few days back in which Rishi accepted that he attempted to buy an award for his debut film Bobby. He answered about it and said, he was a young boy at that time and someone came to him with proposal to buy the award. He said he later regretted it. He also confesses about issues with Amitabh Bachchan and working in an all-star movie. "No multi-starrer film, in which I was featured in, had an author-backed role for me. The strongest, pivotal role was always given to Amitabh Bachchan by the writers and directors," he recalled. And not just him but Shashi Kapoor, Shatrughan Sinha, Dharmendra, Vinod Khanna reportedly faced it too. With Rishi Kapoor’s biography Khullam Khulla his fans will get a chance to look inside his life. He has written about the way he grew up in the shadow of a legendary father, about his family, his journey since Mera Naan Joker and many other untold things about his life.